Luci Barker: 2 Lip Obsessions: Valentines Edition || Collab w/ AlixKate. 2 Lip Obsessions: Valentines Edition || Collab w/ AlixKate. Today's post is in collaboration with Alix from www.alixkate.co.uk, who is one of my very good blogger friends. We will both be sharing our favourite lip products at the moment, but valentines edition, so if you're going on a date this valentines, or out with your girl friends, then this post may help you to find a good lippy to finish off your makeup, or just a new lippy that you might like to try out! My first lip obsession for valentines is the Laritzy Cosmetics Liquid Lipstick in the shade Power. I actually received this in a Birchbox and I'm so glad I did because I hadn't heard of this brand before that but I turned out to really like the lipstick. Power is a really nice Burgundy, Dark Red colour and it'll compliment a lot of different looks, but I think a sultry black smokey eye would be the perfect eye look to wear it with. 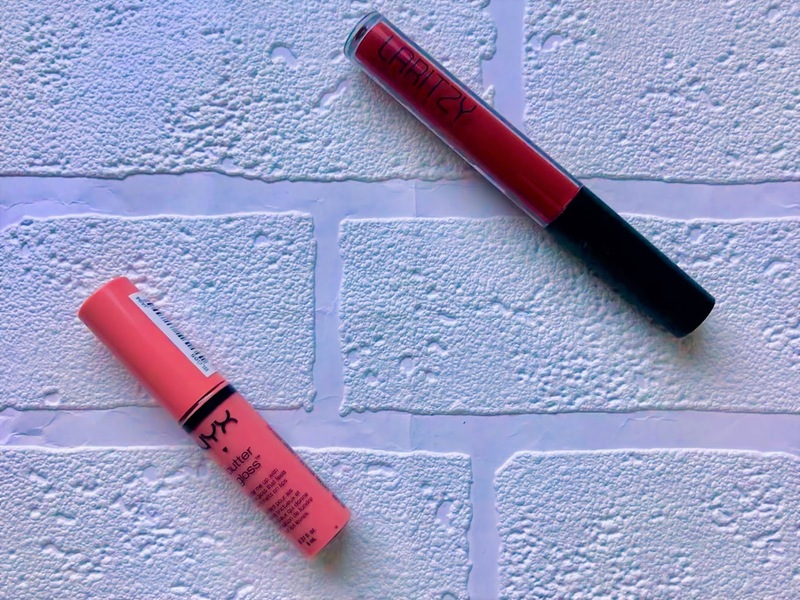 Although it is matte, it doesn't feel dehydrating or crack on the lips as it sits comfotably and it's really creamy ... it almost feels like you're not actually wearing anything on your lips. The swatch below was done with just one swipe of the product and as you can see, it's really pigmented. It hadn't quite dried down before I took the photo, but it takes around 60 seconds or so to completely dry matte. You can shop this liquid lipstick here. Why are glosses so hard to swatch eh? Anyway ... If you’re looking for more of a natural lip colour then the NYX Butter Gloss in Vanilla Cream Pie could be a better bet. I really like this one as its a really nice creamy gloss but also has a slight tint of pink which is perfect for valentines. It’s also a really versatile gloss as it can team up with either a bold makeup look, whether that has a pop of pink in it or not, and it also will finish off any more low key neutral smokey eye look. As you can see from the swatch below that it’s a pigmented and opaque lip gloss, so a little goes a long way without needing to apply a load to actually get some colour to show from it. You can also use a lip liner underneath and it’ll still show through without being completely drowned out by the colour of the gloss. This gloss retails for just £5.50, which I think is a really good price as you get a decent amount for product, it’s a lovely buttery smooth gloss, it has a really nice sweet smell and they also have 34 different shades all as pigmented as each other. I cannot recommend this enough and for these reasons this is one of my current Lip obsessions. 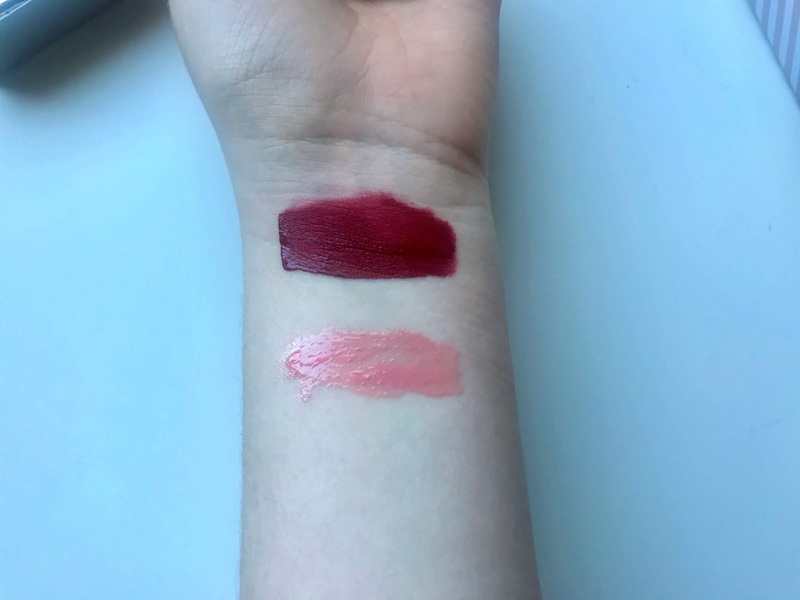 So, they were my two lip obsessions for Valentines and I really hope you enjoyed reading all about them. Also, thankyou to Alix for collabing with me on this post ... make sure you all check out her blog and YouTube channel makeupwithalixkate. Birchbox Unboxing || February 2019. My Holiday Pictures! Part 2 | Goa, India. My Holiday Pictures! Part 1 | Goa, India.